At left in this stereoview is a Pollock & Boyden image, circa 1880. 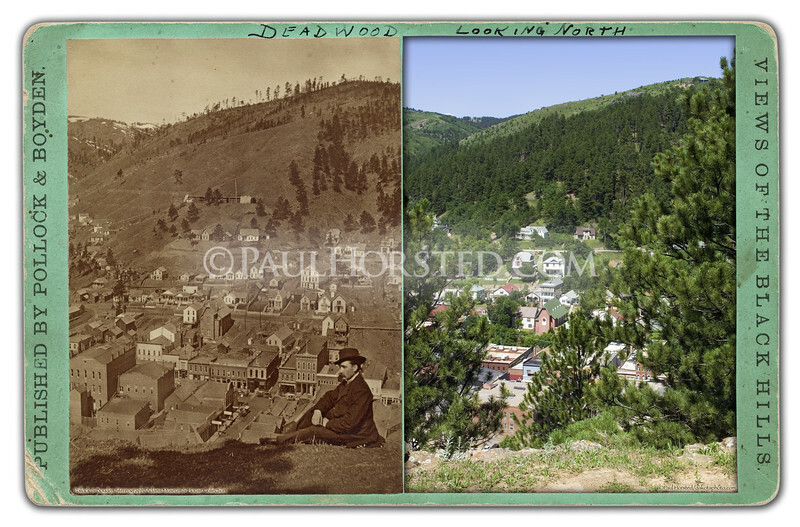 The title is "Deadwood Looking North" but the view is actually looking west. Several buildings in town still visible in modern image (note church at center). Taken from present-day Mt. Moriah Cemetery. Historic image courtesy Adams Museum & House. ©Paul Horsted, All Rights Reserved.